Italy’s Banco Popolare expects 2010 results to be in line with forecasts while possible sales of non-strategic assets could boost its capital ratios, its chief executive said recently. In La Stampa daily, Pier Francesco Saviotti also ruled out any merger with Italian cooperative bank peer Ubi Banca, speculation which regularly surfaces, and said there had never been any contacts on a tie-up. “I think there can only be marginal operations,” he said in the interview when asked about consolidation in the sector. This year’s results are “in line with the forecasts. We ought to close (the year) with a few million more profit than 2009”, he said in the interview. In 2009, the bank, Italy’s seventh-largest, returned to net profit of €267m. In the first two months of this year, loans were up 1.2 percent, investment inflows are flat, while loan losses were less than the budget, he said. The bank’s supervisory board has approved the sale of non-strategic assets and Saviotti said there are talks to sell Caripe, a Pescara, east Italy savings bank but he gave no details on the possible buyer. 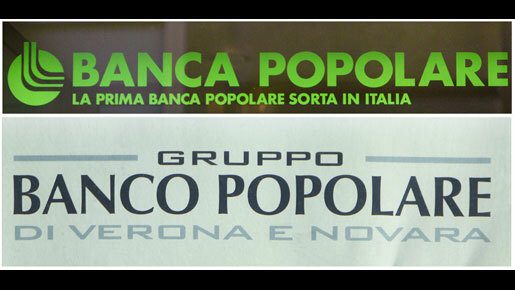 Banco Popolare will only sell its Sicilian branches if they do not reach planned targets while talks on selling investment banking unit Efibanca to Barclays PLC have been shelved, he said. Saviotti also commented on recent calls by the Northern League Italian government coalition partner to influence banks’ policies. He said he had never had pressure put on him. “I respect politics, but the bank does its job: to grant loans only to those who merit them,” he said.